Please correct me if I am wrong as I am on my fourth night without sleep. Trying to sleep in the daytime does not work well. he has a movie coming out next year, but most of his stuff has been voice acting for the last few years. I expect there are health issues. Something will always upset somebody! We are Fans, after all! I do share your bias, though, so I do not blame you for thinking that. In PJ we trust - I'm sure he and the rest of the team, including GdT, have some nice conceits worked out. Can't please all rabid fans any of the time, only hope to placate the majority some of the time. The status of other actors� whose characters would have been living during the plot line of the Hobbit, are varied. Cate Blanchett is confirmed as Galadriel while Hugo Weaving�s Elrond is a prominently featured character in the source material but not confirmed. Liv Tyler�s Arwen could logically be present as could other ancient Elves like Marton Csokas� Celeborn. No mention of Christopher Lee. Sigh. Speaking of conceits, since 'The Hobbit' and 'The Lord of the Rings' are actually retellings by Tolkien based on the Redbook of Westmarch, who is anyone to say that JRR's writings were a definitive, correct representation of that book? Perhaps PJ and the team have, with the latest research, uncovered more accurate details and are committing these to the films even as we debate such weighty matters? The Chronicles of Narnia are children's books. The Hobbit, while more 'children friendly' when it comes to reading level and some descriptions, is not. I view the later Harry Potter books in the same light. I'll have to read her post, but I mentioned a couple things that could bring it back to being continuous- the story being told as opposed to read aloud from a completed book, for instance. How Drogo will fit into it, however, is another story. I don't know if I'd want a Princess Bride-like storytelling for this. I think it could work, but I also think it could be disastrous. Honestly, I'd have to see it in action to really make up my mind. I hadn't caught that. *sigh* indeed. That Tolkien misread the details about the Battle of Amon Hen and PJ got it completely right, from Aragorn outright rejecting the Ring and fighting a gazillion orcs to Boromir's completely and utterly awesome dying words? 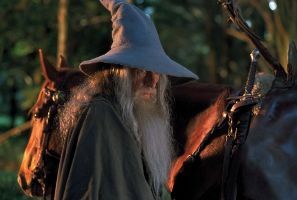 Opening scene: Frodo, being chased by Black Riders on the mean streets of Bree, ducks into a secluded bookstore and finds an old guy reading Bilbo's book. "That's strange, " he says, "uncle Bilbo hasn't published it yet!" He isn't retired, but he has health issues. The new movie you are talking about, 'This side of the Looking Glass', is about an old man 'who's fame and health is rapidly fading', played by Ian Holm. So, he isn't in the prime of his life anymore.. but ofcourse we don't know what Bilbo he would play (if any), maybe the old one? I think Jackson has said all along that if he could come up with a smart way to fit some of the old cast into the story then he would... Since it's a small part in two movies, colour me interested ! It's nice to see that I'm not the only one whose interest is piqued by this. I'd love to see our old favorites come back in creative ways. I'm not a rabid Orlando fangirl, but I'd love to see Legolas wreck havoc on some gobblins for a scene or so. I really don't see them trying to insert them everywhere possible, but rather going about it intelligently. 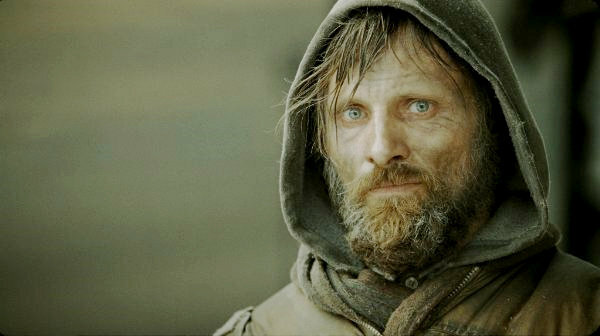 I was really skeptical about Frodo or Elijah being in The Hobbit, as it would have been impossible. But I didn't think about this scenario, and it actually makes sense, and doesn't screw with the actual plot. Just a prologue of sorts. I'm guessing you'll get the historical FotR type prologue with scenes of Smaug taking the Lonely Mountain, etc., then you'll get the short intro with Frodo reading from the Red Book, then we're quickly whisked into the actual story. Can't wait to see this all come together. I think everyone has to remember that this film is being made in 2011, not the 1930's when Tolkien hadn't yet expanded his universe of Middle-Earth. But with Middle-earth later expanded, for continuity, it only makes sense to include extra elements that clarify important historical events, or show relationships between certain characters. And I have a feeling that even those who don't like the idea will move quickly past it when they watch the movie. If Frodo's only going to show up at the beginning and then disappear, fans will forget him pretty quickly when they get absorbed in Bilbo's story. was cast as Drogo 1 month ago. Primula should be in shortly. Is that The Hobbit book actually did have a narrator. Why not Frodo? hehe.. don't mind the subect title. I think people will be upset no matter what. I think people need to relax (if possible) and judge the movies on their own merits. You've got over 23 months to wait and complian before you even see the first movie. I regard myself as a purist, and I didn't like some of the scenes in the original movies for that reason. I think 'purist' can be broken down into different types, though. I wouldn't, for example, call myself a 'Hobbit purist', but I do see myself as a 'Tolkien purist'. By that, I mean, I'm comfortable with changes being made to the Hobbit, as long as they fit in with the lore, mythos and story that Tolkien was trying to tell. 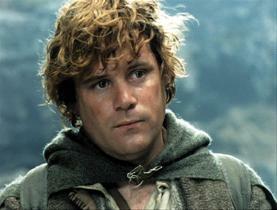 So, adding bits of Tolkien lore from LOTR (and other sources if allowable) into The Hobbit would not bother me at all. Adding something in that Tolkien doesn't mention does bother me. I've always loved the telling of the Hobbit backstory in 'Unfinished Tales' for example, and I'd love to see some of that, though sadly it appears off limits. Tolkien himself changed things to fit the overall story, of course, we all know that. 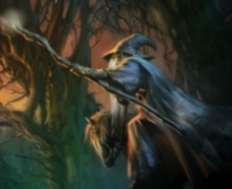 The 'Riddles in the Dark' chapter of the Hobbit differs between early and late versions. So, if small changes are made, to allow the telling of the whole story of the ring and it's characters, from the start of the Hobbit to the end of the appendices in LOTR, this purist won't complain. If Legolas kills Smaug, different story entirely. The Hobbit book actually did have a narrator. Why not Frodo? Yes, Frodo actually did a brief narration towards the end of ROTK, perhaps PJ will have him do some TH narration as well. It's good to finally have some casting information,even non fully official.The Deadline article also suggests that 'Returning actors will need to be locked in shortly',so there won't be long before we have the announcements. I didn't get the sense that Frodo would be narrating, as it is supposed to be from Bilbo's point of view, so I think Wood is just playing Frodo in a opening scene. Hopefully that means either Holm is narrating with voice only, or is both narrating throughout and starting the movie off with a live appearance playing older Bilbo who is reading his story to Frodo and maybe Sam..! ?, before it fades into the main movie...?? One can hope...this was how I envisioned them doing the opening scene/narration since we started discussing if/how Holm could play a part in these movies. Who would like to hear Holm's voice narrating and possibly see him sitting reading his story to Frodo and Sam?? Boil 'em, mash 'em, stick 'em in a stew... Lovely big golden chips with a nice piece of fried fish. And I think you're right about the 'cast reunion' aspect of this being for the cast's sake rather than something forced on them from outside. Of course, the success or failure of any change to the published story will depend entirely on how it's done but we won't know that until we see the film and I refuse to get angsty about it now. I have confidence. They made all sorts of changes in the previous films which would have horrified me if I'd heard rumours about them beforehand and most of them turned out fine. The ones I don't like I find I can forgive because I enjoy the films so much. For me they captured 'something' above and beyond any individual part of the story which felt so right and which still excites my imagination. I'm looking forward to seeing Peter Jackson and co. work that magic again and I believe they will. I might even say that one of the keys to that magic is sympathetic changes made in the adaptation. For me at least, to really enjoy the film I need something which takes me out of the 'I know this story back to front' position into the wide-eyed 'wondering what's coming next' which I felt reading the book for the first time.